If you want to learn more about us, just visit our social media sites! with which you can cover all your forwarding processes. Benefit from more than 20 years of experience and best practices from our customers, serving as the basis for the continuous development of your software solution. Software for your efficient transport management: covering everything from order entry, and planning – also with automated tour planning – to freight invoicing, fleet management and Business Intelligence Systems for evaluating your data. Our logistics software is used by companies of all sizes – from small businesses to international groups. Convincing solutions for your logistics processes: tour planning, crediting procedures or electronic freight assignment, as well as the integration of your partners on our logistics platform with intuitive time slot management. Click here for further dates and details. Our flexible logistics software is being used successfully by over 1000 customers in 32 countries worldwide. Our customers are primarily freight forwarders, transport companies and companies in the shipping industry with whom we maintain long-standing partnerships. You can find a selection of customer quotes below. Just click on the company logos to learn more. Adam-Transporte GmbH is a successful medium-sized company. As a specialist for vehicle transports, the family-owned business operates Europe-wide. “CarLo makes it possible for us to plan transports efficiently. We also like the software’s calculation workflow, the various pricing rules options and the Communication Server functions. Another great benefit is that the fields in the CarLo mask are adjustable: Thanks to the flexible configuration options, we have been able to precisely adapt CarLo to our special field of activity,” explains Christian Adam, company management. Wallenius Wilhelmsen Logistics Germany GmbH has been relying on the logistics software CarLo for managing and planning automotive transports at multiple international offices, since early 2002. “The integration of telematics allows us to send data from Planning directly to our trucks,” says Claus Martin Schneider, Head of IS & T.
“We spent a long time on choosing a fitting partner and eventually found Soloplan and their product CarLo. On the one hand, we needed to find a technical solution to our requirements, while on the other, we also wanted a reliable and sustainable partner as partnerships like these need to be able to last many years,” tells us managing director, Steffen Bork. We would be glad to provide you with further references from your sector or target market. You can contact us right now at info@soloplan.com for more. “CarLo simplifies our daily worklflows on all levels. “Improved efficiency, cost controls and visibility are among the benefits that Imperial Logistics clients will reap following the group’s implementation of a standardised transportation management system. We opted for a forward-looking solution in the shape of CarLo because it can handle enormous volumes of data in a short time. “After we had gone through a detailed selection process, we settled on CarLo by Soloplan. Thanks to CarLo, we are able to easily cover all functionalities required by modern distribution within a single system. This helps us improve truck usage and increase productivity,” explains Mr. Hasenclever, project manager of system-aided transport management. “We are really happy that we have decided to work with CarLo and that we have found a competent partner in Soloplan that will still be able to support us in thirty years’ time, ” so Ingo Dinges. „CarLo has supported our transport and logistic processes optimally for many years, and we really appreciate and support the continous development of the Software which opens up new optimisation potential for us again and again.” – Erich G. Schmidt, Head of Controlling. “In my opinion, CarLo is the leading solution for bulk goods; and its SAP-ERP interface, which was re-certified again in 2008, speaks volumes for Soloplan’s software.” – Joachim Pinn, Head of Logistics. “We were able to successfully cover all of our requirements and workflows – including all peculiarities of food logistics – with CarLo from Soloplan. And we are able to track national and international transports at all times thanks to the telematics solution CarLo inTOUCH. Soloplan is an ideal partner in the Polish market.” – Arkadiusz Matusiak, CEO of Polski Transport Ciężarowy Sp. z o.o. “Intuitive operation, optimisation tools and cost structure analyses are significant advantages in supporting the individual dispatchers in their work. The company profits from improved communication and optimal exchange of data and information within the organisation. And combining the tool with the telematics solution CarLo inTOUCH also helps dispatchers ensure best planning results in cooperation with drivers.” – Mr. Grzegorz Włodarski , CEO von MEGA Sierpc Sp. “With CarLo’s help, we were able to introduce a zero-error principle and close our service department, which used to deal primarily with customer complaints,” explains Uwe Ritzmann, managing partner. Mistakes which are initially avoided don’t need to be fixed or discussed with customers. „Since introducing CarLo in 2010, we have been able to considerably reduce our empty trips. Due to the simple and well though out handlings we have been able to assist our truck planning with CarLo, we can specifically evalutate costs and can minimise staffing overheads.” – Executive Manager, Jochen Wild. “We started using Soloplan’s logistics software CarLo at LTG Group in early 2011,” says Manfred Graffe, CEO. The company is gradually equipping all their LTG offices one after another with approx. 45 workstations in Berlin, Hanover, Kerpen, Messel, Neuwied, Schifferstadt, Speyer, as well as their headquarters in Langenlonsheim. “CarLo is a system that has been able to meet the special requirements of our intermodal transport processes. Fried-Sped Friedrichsohn Internationale Spedition GmbH uses CarLo for intermodal transports Europe-wide. “We had been looking for a modern solution for managing our 3PL/4PL operations. So, we looked at the most important transport management systems in Europe and eventually decided that Soloplan offered the best quality to price ratio. The system not only convinced us with regards to planning and scheduling transports but also with its functions for creating forecasts and simulations. During implementation phase one, we concentrated on our regional transport business. In phase two, we went on to integrate our international FTL/LTL and consolidated goods services,” says Nikolai Bozhilov, CEO and president of Unimasters Logistics SCS Ltd.
“The logistics tool CarLo perfectly handles the connection with our various offices in Eastern Europe and as well as the complete integration of telematics,” says Hannes Klausner, Managing Director. “The flexibility and adaptability of this tool on top of the technology gives us total independence. Say goodbye to specific requirement developments! This is a very stable product with flawless usability that allows us to optimize our workflows through its powerful, integrated Analysis tools,” stresses Jérôme NICOLI in charge of the project for the CAILLE Group. “The choice of a TMS and in particular of Soloplan’s solution, CarLo, was the result of careful consideration. We were attracted by Soloplan’s solution and decided to implement this project when the economic situation was a little quieter in order to be ready for the recovery!”, confided Mehmet OZOCAK, co-manger at his company where fifteen users work with the logistics software CarLo from different locations to coordinate the exchange of internal and freight transports. Of course, issuing invoices or analysis of statistics are also part and parcel of the users’ daily tasks! Špedicija Goja has been successfully using CarLo since 2013. Safety, quality and reliability are its guiding principles in domestic and international road transportation. „CarLo has helped us to implement a process-oriented order flow in our company. All data is directly and transparently assigned for every order – from initial offer price, to temperature during loading and even fuel consumption during the delivery. It was essential for us to have a future-oriented partner as a software provider, and this is the case with Soloplan.” – Robert Förster Jr., Authorised Officer. „We see ourselves as integrated logistics providers. In addition to classic transportation of partial, full and groupage loads, one of our focuses is on customer-specific, in-house project solutions “to the factory door”. In fulfilling these very diverse and challenging logistics services, we rely upon CarLo and its add-ons such as CarLo inSTORE. It is important to us to work together in partnership and to have ONE solution covering ALL areas. 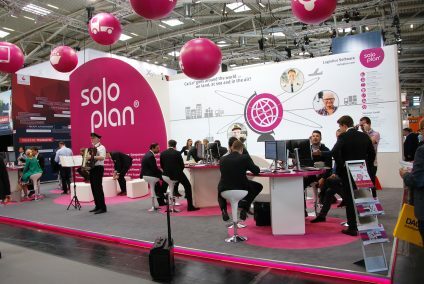 Therefore, since 2007 Soloplan has been the ideal partner for us.” – Peter Schmid, Authorised Officer and Branch Manager. „Here at BOLL, we have been using the logistics software CarLo since 2011 and are very satisfied with the user-friendly features of the system. On this basis, we are already planning to extend its implementation in the near future.” – Ulrich Boll, Executive Manager at Georg Boll GmbH & Co. KG. “After a complex selection process, we settled on Soloplan for long-distance transport because it perfectly met our requirements. After the installation, we are also highly satisfied with both their service and Support.” – Michael Krause, Project Manager IT/Orga. “As a logistics provider in south-west Germany, top-class flexibility and service guarantee us a high Level of customer satisfaction. 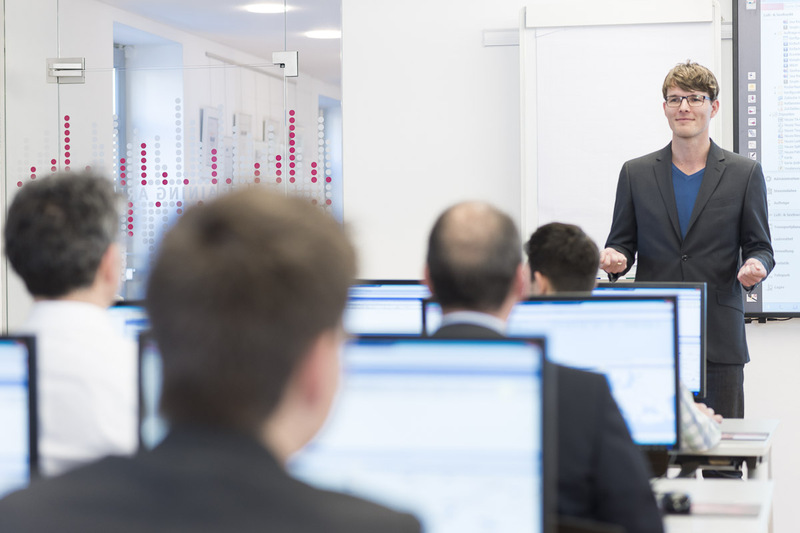 CarLo allows us to cover all services and improve our workflows.” – Bernd Klotz, CEO. “Thanks to the Cockpit, we have a wide range of options and almost boundless flexibility, which significantly simplifies our controlling and leads to additional savings,” explains Roman Holenstein, Managing Director. “We have been using CarLo successfully for a couple of years now and it allows us clear planning, swift order handling, fleet tracking, and trouble-free invoicing.” – Barbara Gressel, Head of Gressel Spedition GmbH & Co. KG. “Combining Soloplan’s programmes and our logistics expertise, we are able to successfully face the challenges of the international market. We are also using CarLo at our offices in Barcelona and Madrid.” – Marc Jobelius, authorised signatory. The company Al-Trans from Trzcianka has been using CarLo since 2011 and benefits from the entire range of functionalities offered by the logistics software, i.e. master data management, billing, planning and scheduling of transports, route planning, fleet management and warehouse management. “We are thrilled by the easy handling of CarLo. A single transport management system allows us to handle all of our transports and logistics workflows,” says Mr. Artur Golasa, PHU AL-TRANS, Trzcianka. “The level of flexibility within CarLo’s Planning and Order Entry is convincing. We’ve compared CarLo to other applications but they did not meet our requirements as they aren’t as adaptable to our needs as CarLo,” explains Cezary Adamkiewicz, Head of IT at Agromex. „In our search for a planning system suitable for our requirements we hit the jackpot with CarLo. Using CarLo, we are able to efficiently plan, monitor and invoice transports both processed via freight forwarders and also on our own vehicles.” – Christoph Krug, Head of Logistics Planning and Projects. “The modern logistics software helped us to greatly improve employee satisfaction,” says Vincent Stucky, Head of Translait.